We offer services to small business owners and homeowners. There are multiple reasons why you should install a security system. If you’re a business owner you want to protect your business, and you may also need a security system for insurance purposes. If you’re a homeowner, you can save money on your homeowners insurance if you have a security system installed. What type of cameras do you need? 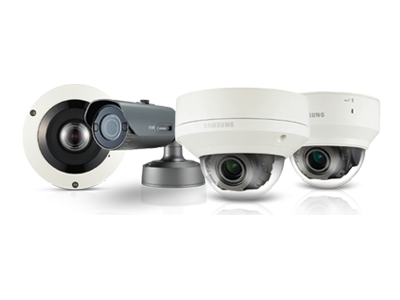 Do you need indoor cameras, outdoor cameras, hidden cameras, analog cameras, or HD cameras? We have a variety cameras that will meet your needs. The first thing we’ll help you decide is the type of security system you need for your business or home. Once we decide on a security system, the next thing we do is determine how many cameras you need. We have analog cameras which have a low resolution, but they’re less expensive. So if you need a lot of cameras and you have a small budget, then analog cameras might be a perfect fit for you. If you only need a few cameras and you require higher resolution, then the best choice is to go with our high definition cameras which are more expensive but will give you the best quality. All of our security components are top of the line and they all come with warranties. The type of cameras you need depends on the type of property that you’re trying to secure. If you want to monitor a smaller area, then maybe you don’t require high definition cameras. 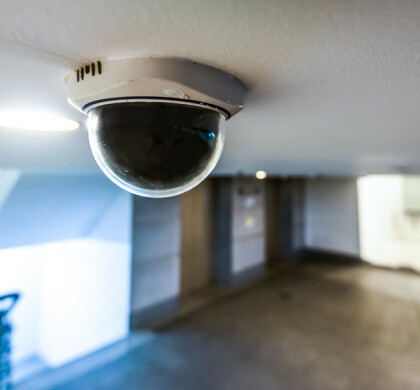 But if you need an outdoor camera to monitor a large area outside, such as a parking lot, the best choice is to go with our wide lens high definition cameras. We can set up and install your security system within one business day. To get started we need to come out to your property so we can prepare an honest quote. We offer affordable packages for any budget. We have free cameras, used cameras, new cameras, and top-of-the-line cameras available. We will install everything professionally, and we have all the proper cables to get the job done right the first time. Hiring an inexperienced security systems company can cost you a lot of money. If the wiring is done incorrectly, it can cause a fire hazard and actually endanger your business instead of securing your business. Since we’re a small business, we take our customer service very seriously. We aim to please all of our clients and exceed their expectations. We work mainly off referrals so we want to make sure that you have an excellent experience so you’ll refer us to your friends and family. The reason we ask for your budget is because we want to make sure that you get the best bang for your buck. We have security cameras that range from a few hundred dollars to several thousand dollars. If you only have a budget of $5,000 or less, we can recommend products based on that budget. Depending on what you’re trying to secure, you might not need very expensive cameras. If you only need one camera, then it might make sense for you to get a high definition camera. But if you think you need 10 cameras or more and you have a small budget, then we can show you different options that will fit your needs. If you have a smartphone, we can even integrate your security system with your mobile device so you can arm and disarm you security system remotely. Some clients think it’s cheaper to buy cameras online themselves and call to have someone install them. The problem with that is that if you inadvertently buy cheap cameras, or cameras the aren’t compatible with the required DVR system, you’re going to end up wasting your money and your time. We can help you choose the best cameras and the best system for any budget. The type of cameras we have available compared to the cameras you can buy yourself at a hardware store are completely different. Our lowest model cameras have better quality and are more reliable than anything you can buy on your own. Contact us today to set up an appointment. 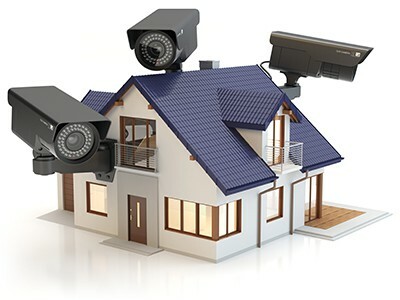 We’ll come out to your property and let you know how many cameras you need. Once we know your price range, we can narrow down which cameras will fit into your budget along with a DVR system to match. Contact us below using the contact form or call our toll-free number. We’re here to help! Do Security Systems Work With VoIP?